The state-owned UK bank’s shares soared 12 pct after first-quarter net profit trebled. But RBS only took a tenth of this year’s restructuring costs to support CEO Ross McEwan’s new strategy, and dividends remain way off. The bank has turned a corner, but there’s a long way to go. Royal Bank of Scotland’s shares climbed as much as 13 percent on May 2 after the UK state-owned bank reported a trebling of first-quarter net profit to 1.2 billion pounds ($2.0 billion). 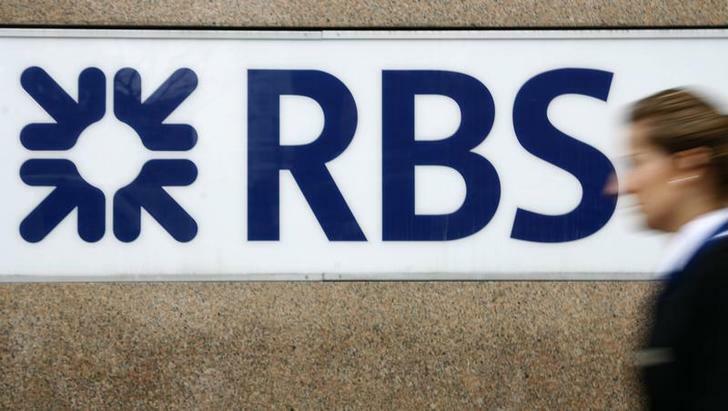 RBS’ loan impairment losses fell 65 percent year-on-year to 360 million pounds. Costs fell 6 percent, more than offsetting a 2 percent fall in revenue. Balance sheet metrics strengthened during the quarter, with RBS’s Basel III common equity Tier 1 ratio up to 9.4 percent at the end of March, from 8.6 percent at the end of December. The improvement was primarily as a result of retained earnings and shrinkage of RBS’ non-core operations. The bank’s leverage ratio also improved to 3.7 percent, from 3.5 percent. RBS shares were trading up 7.5 percent at 330 pence by 1130 BST.